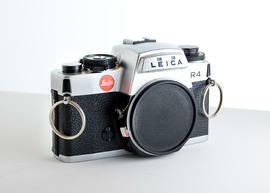 Item is a small hand held 35mm camera with metal and black vulcanite case. Two large metal rings attached on either side for a strap (not included). No lens included.